Preventative dental treatments stop oral pain while simultaneously improving oral health and contributing to a healthier body. You read that right. You can avoid considerable oral pain and enjoy improved health by simply letting your dentist apply the appropriate preventative dental treatments. Ask anyone who has had a toothache or a tooth extraction about the discomfort and they will quickly respond in quite the negative fashion. Every single one of these individuals would have been better served with preventative dental treatments. The teeth are rife with nerves that can cause considerable pain. If you do not have your teeth cleaned every six months, you will eventually experience tooth decay. This decay has the potential to lead to significant pain. The failure to attend regularly scheduled dentist visits can also lead to gum disease. Gum disease is difficult to reverse. Take the little bit of time required to clean your teeth at home and visit the dentist for a comprehensive deep cleaning. 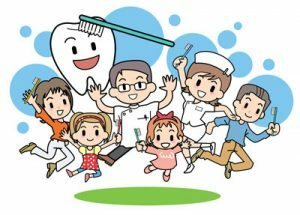 This small but important time investment will help prevent all sorts of oral health problems that have the potential to diminish your quality of life. Do not strictly rely on the dentist for fluoride treatments and deep cleans to preserve your oral health. You can do your part by brushing your teeth at least two times per day. Floss at least once every single day to prevent food particles and bacteria from moving on down into your gums and causing painful oral health problems. Can you imagine losing one or several teeth simply because you refused to consider preventative dental treatments? It is possible. If you do not visit the dentist for a deep cleaning and to discuss preventative dental treatments, bacteria and plaque will remain on your teeth and gums. These threats will become trapped below the gums, spurring bleeding and swelling. Visit with your dentist so the initial indications of gum disease can be identified as soon as possible. The dentist will perform a comprehensive deep clean to remove bacteria and plaque. Once these threats are eliminated, your gum health will return to normal. Leave your gums in poor condition and they will recede, allow for the formation of pockets and put your teeth in danger. You might end up losing these teeth as well as surrounding bone simply because you refused preventative dental treatments. Do not do this to yourself! Life with a missing tooth will prove painful and awkward. Furthermore, a dental implant, dentures or a dental bridge will eventually be required to preserve your oral health. Each of these solutions will restore your tooth health and function yet they will cost much more money than preventative dental treatments. Furthermore, you will have to spend more time in the dentist's chair. If you are like most people, you do not look forward to dental procedures. This is perfectly understandable. You can do your part to preserve your oral health, time and money by visiting with your dentist and taking advantage of the many different preventative dental treatments. For more information or to schedule an appointment with us, call (760) 394-3088. Our dental office is located in Palm Desert. Call Robert Daddio D.D.S. & Associates today. « What Happens During a TMJ Treatment?